Don’t skip breakfast as a busy mom! 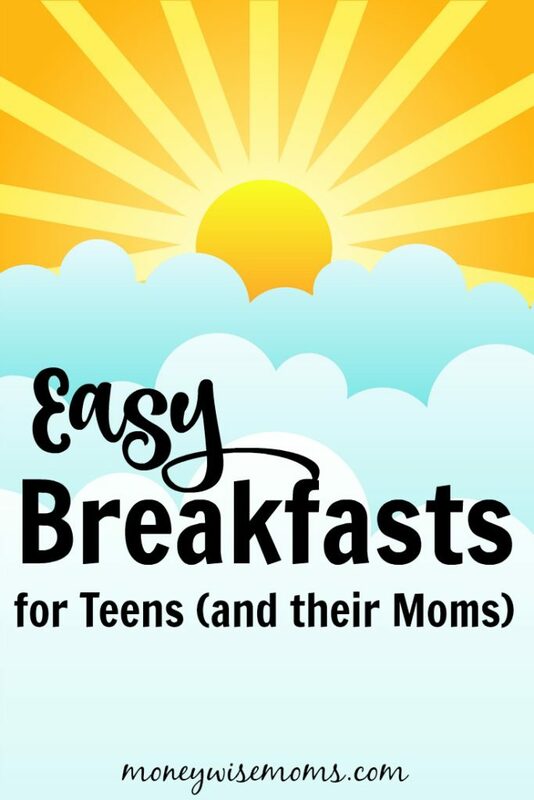 Share these easy breakfasts with your teens that you can both eat on the go. Do you have hectic mornings at your house? Doesn’t everyone? It can be so easy to “forget” to eat when you’re rushing to get yourself (and everyone else) out the door, let alone eat something healthy that will keep you satisfied through the morning. I am trying to teach my tweens and teen to combine protein and fiber at breakfast to stave off hunger and give them energy to last till lunchtime. It’s been helpful to me, too, so I don’t skip breakfast or am tempted to snack on non-healthy options throughout the morning. These easy breakfast recipes are filled with protein and fiber, so they fit the bill. Add some of these easy breakfasts to your busy mornings! 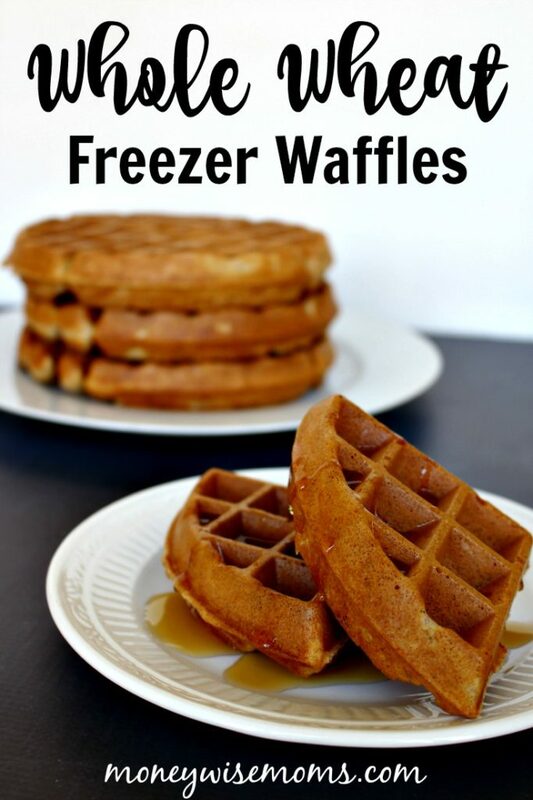 It does take some weekend time to make a double batch of Whole Wheat Freezer Waffles, but then they’re ready to pop in the toaster. Paired with a glass of milk and a hard-boiled egg, and this is a filling and hearty breakfast. These usually make it to the table, but sometimes the kids through them in a napkin and head out the door. 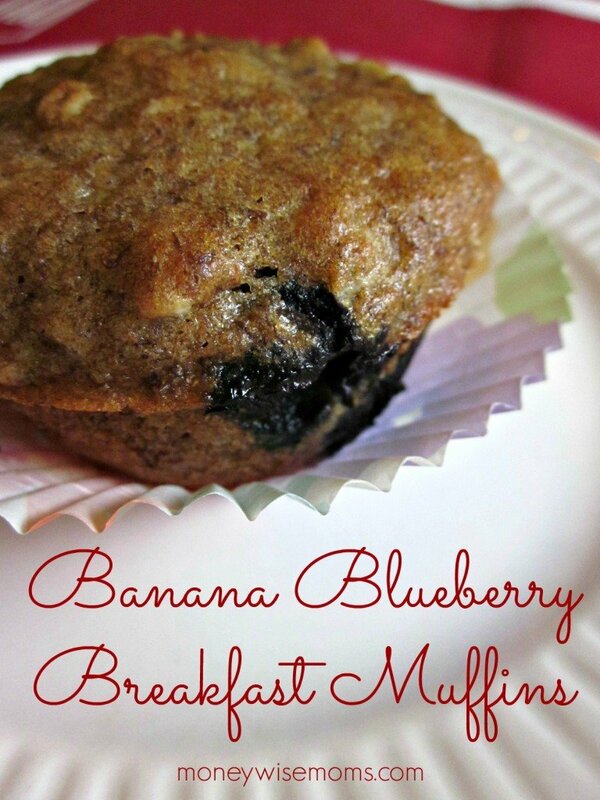 Make a handheld breakfast that’s easy to take on the go with these Banana Blueberry Breakfast Muffins. They have protein from Greek yogurt and fiber from oats, flaxseed and whole wheat flour. Pair with a hard-boiled egg or big glass of milk. If it’s not one of the kids rushing out the door, it’s me grabbing something quick to eat in the car on the way to whatever is happening that morning. Take care of yourself, Moms! Don’t skip breakfast, just try planning ahead with these easy breakfast recipes. What are your favorite easy breakfasts to eat on the go? Find more recipe inspiration in this week’s Tasty Tuesdays linky party, and have a fabulous week! 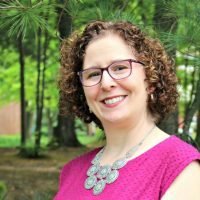 MoneywiseMoms is not responsible for stolen images or the mis-use by others who have found your image through this Linky Party. 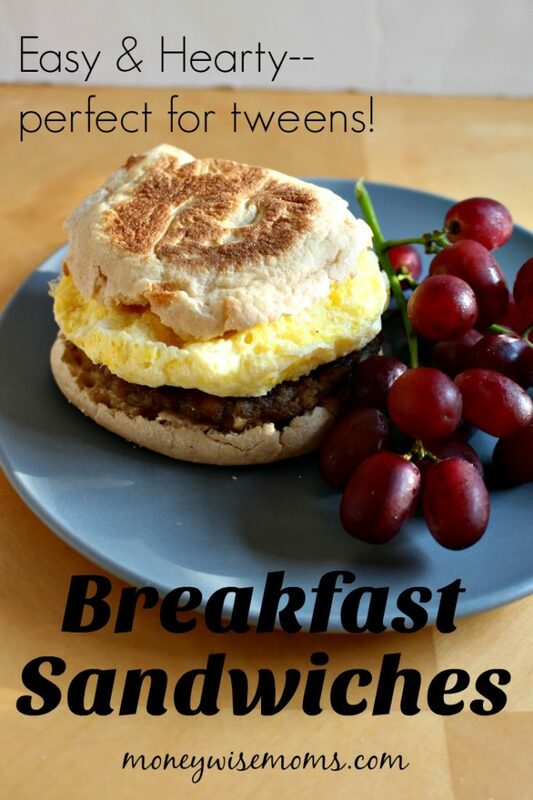 That breakfast sandwich looks awesome- gonna suggest it for my son! Thanks for linking up on TBB! Thank you for posting this healthy and tasty recipe. Now me and my son, we both are enjoying your recipe.